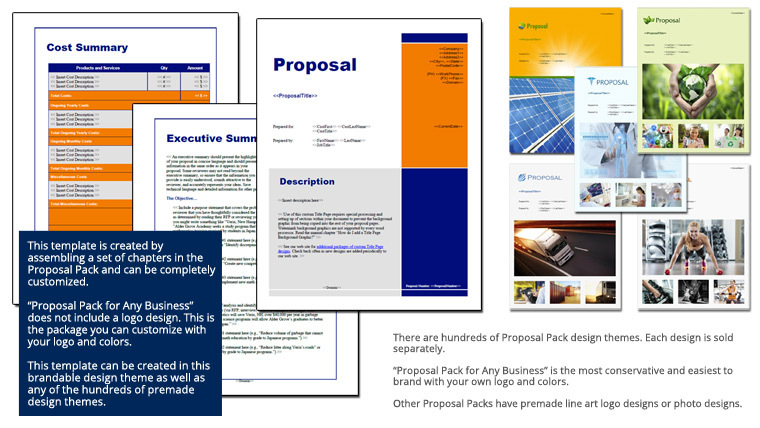 This 15 page layout is included with Proposal Pack. Create variations of this document of any length to suit your specific needs. Order and download for $79. This set of templates was selected for an internal company proposal recommending the outsourcing of work to manage the company's facilities and provide a cost breakdown and cost/benefit analysis. suggestions for what to write. That’s really helpful to have something for proposal writing rather than a blank space."